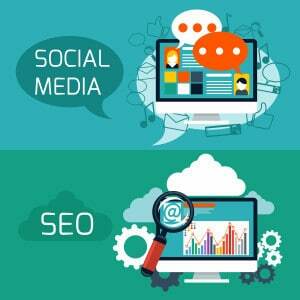 The SEO consultant that you need working with you understands the connection between social media and SEO. Just as your blog headlines and ads must contain the right percentage of relevant keywords, your social media posts must also adhere to this optimization standard. Every word that you use online – video transcriptions, post headings, regular headlines – they all matter. When it comes to social media, keep the following tips in mind. First, determine who your target audience is. You will be aiming your headline at them, not at the world. Ironically, the more that you focus your headline, the more that it will probably appeal to a wide, mainstream audience. Content that is meant for customer acquisition is much different from content that is meant for conversions. Second, optimize the channels that are the most demanding on your business. These are the channels that will save you the most money when they are working well. This will also help you to get more mileage out of your headlines. Conflicting elements that are on the same page can confuse the major search engines. A confused algorithm gets you nowhere fast. Third, get your straightforward headlines done at first. So many business owners feel as though they need professional writers at the very beginning of the process. This may be the case later on down the line, but now, you just need to put forward ideas that everyone can understand. Do not necessarily try to navigate the marketing first – you need data. Fourth, write the version of your headline that is more friendly to social media. This is the version that you can advertise for clickthroughs specifically. Although you may not be using these headlines exactly, you will definitely use an iteration of them in the future. Do not worry about your keywords right now. You need to cement your message in place, and you also need to get the length of your headlines within the parameters of your chosen social media platform. Get your keywords down pat. Now that you have an optimized page and straightforward headlines, all you need is your keywords. Merge them into the message that you are creating. The SEO company that you choose to optimize your online marketing must understand the importance of having highly effective headlines. Make sure that you only pay for an expertise in this area, and give yourself plenty of room for experimentation.